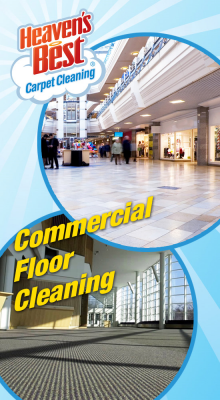 If you are looking for a Full service Floor Cleaning Expert in Birmingham AL, you have come to the right place. Heaven’s Best Carpet Cleaning is a Full service Carpet and Floor cleaning company. We are experts in cleaning carpets as well as all other types of flooring including: Tile, Tile & Grout, VCT Tile, Hardwood Floors and Laminate Floors. From carpet cleaning, to tile and grout cleaning, to our hard wood floor cleaning and buffing, our full service approach makes having a beautiful floor as easy on you as possible. We pride ourselves on our attention to detail. We all love what we do and are addicted to the word “WOW”. No matter what type of floor you have, we provide “Exceptional Service Every Time.” This is more than a slogan to Heaven’s Best Carpet Cleaning; it is how we do business. If you are looking for one company who can handle all your office or business floor needs, Heaven’s Best Carpet Cleaning is the answer. We will have one of our IICRC trained technicians come to your office and measure the areas and make a detailed assessment of your floors. Along with being one of the only companies in Birmingham that provides all your floor care needs, Heaven’s Best has very reasonable prices and competitive rates. We also work during hours that are convenient for you. If you want your office cleaned in the evening or on a weekend, we can easily accommodate you as we reserve these times for commercial floor cleaning. Call Heaven’s Best Carpet Cleaning today at (205) 618-9150 for a FREE ANALYSIS of your office floors. We are one of the only complete Floor Cleaning Experts in the Birmingham AL area.